I walked into the grocery store to do some shopping. In the entrance was a huge Christmas tree, covered in tags. There were so many of them, that you wouldn’t even be able to reach the ones up on top. 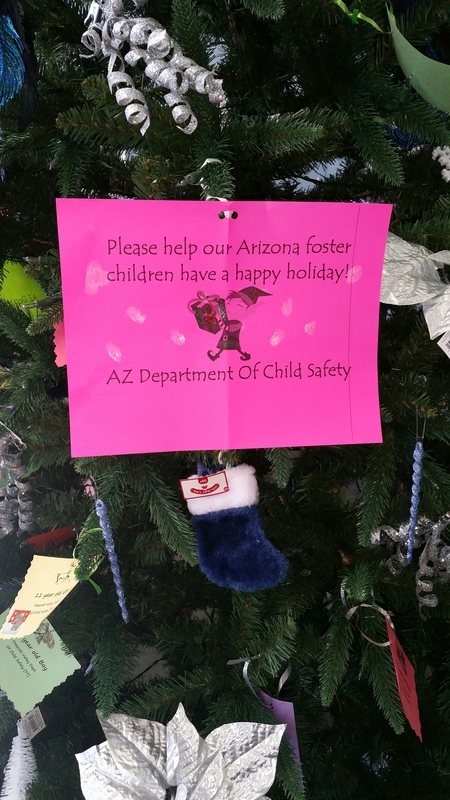 Each tag represented a foster child, in need of a Christmas gift. I circled the tree and looked at each tag. There were mostly tags for teenagers. There were tags for ages 8-11. Then I found tags for 3 and 4 year olds. Then I saw the ones that sent pain straight to my chest: 3 month old baby boy and 8 month old baby boy. Someone gave these baby boys up. How could anyone give them up? I would never have given up. With this memory fresh in my mind, I think it’s time to share my birthday wish. Lincoln and I share a birthday. December 22nd. To share this day with him is so special, but to lose him on my birthday is so painfully cruel. His first birthday is coming. I should be planning a party and making him his own little cake to smash. Since he is not here for a birthday party, I will be buying him a birthday gift and donating it to a Christmas charity organization. If you love Lincoln, or have been touched by his story, I would love for you to join me in doing this. My greatest healing has come from sharing Lincoln, and from knowing that he is helping others in the world. Since he cannot get gifts, I would love for children in need to get them instead. The charity can be completely up to you. Whether you choose Toys for Tots, Operation Christmas Child, Cops who Care, Angel Tree, or just give it to a child you know could use a gift. All I ask is that you take a picture of the gift to share with me in the month of December. Tag me in the photo so that I can witness the Lincoln Love and see how it will spread to others.